The Austin, Texas-based artist Michael Sieben has a unique illustrative style that is immediately recognizable. Just as important as the art quality is his humor, which can sometimes be dry, but is always on point. 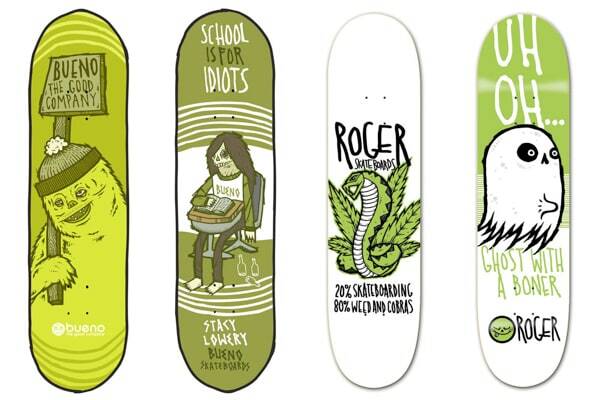 From his articles in Thrasher to his web series through Volcom to his board graphics for the company he co-owns, Roger, Sieben has secured a steady place for himself in the timeline of skateboard art.